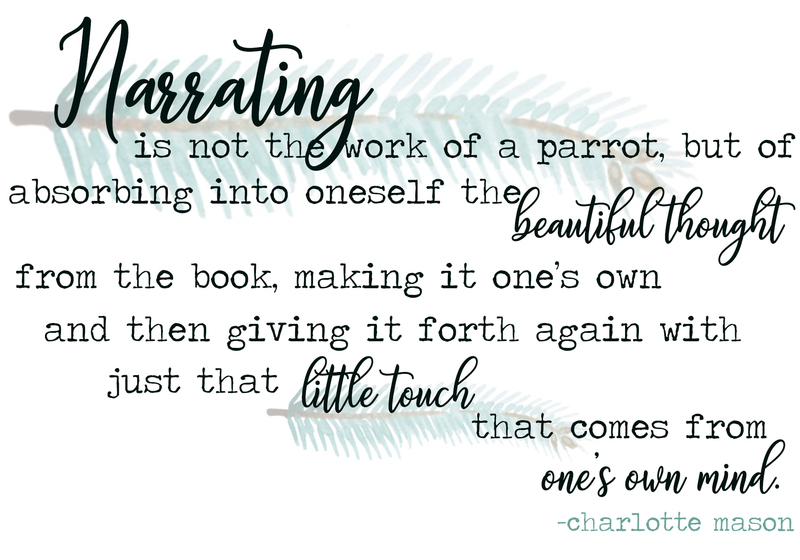 Narration is the retelling of what was just read or heard in your own words. Narration can be done orally or in writing. Oral narration is done throughout all of the grades. Written narrations are added around fourth grade.